First off, I needed to say thank you to the wonderful people at Manang's Chicken, particularly their President and CEO, Jill Borja, for their generous contribution to my Second Year Anniversary! It was amazing to see how everyone went insane for GC's for "Ang Bagong Fried Chicken Ng Pinoy"! 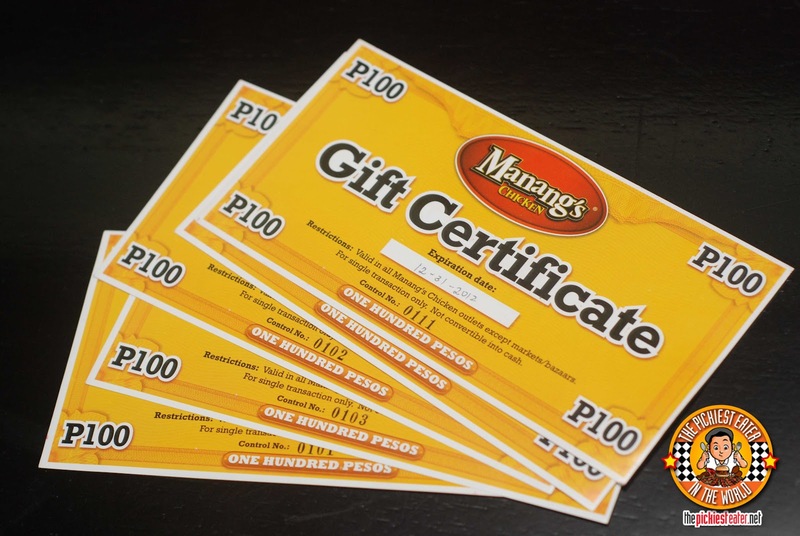 Secondly, I want to thank each and every one of you that participated in the Manang's Chicken GC Giveaway! I'll be getting in touch with you within the next few days to coordinate how you can receive the GC's.. Either via meet up or mail. 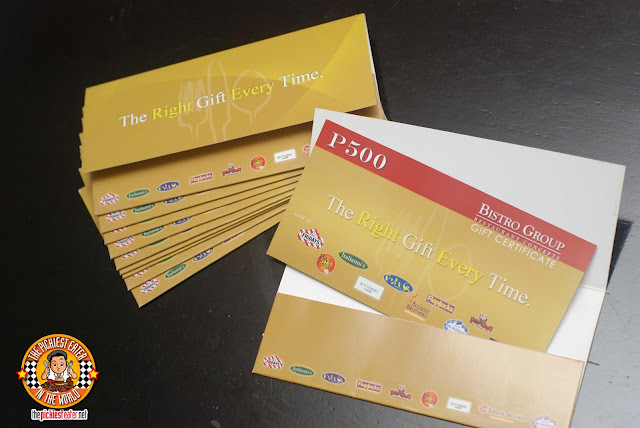 where you can win P3,000 worth of Gift Certificates that you can use in ten amazing restaurants!